Mitigation – What methods? BHAG – big hairy audacious goal Q: Anyone conducting evaluation of mitigation here? The word impossible comes to word sometimes. 300-400 ppm in atmosphere 2020-30 will reach the tipping point. Billions of dollars going to climate change mitigation. Clean power, built transportation infrastructure, plus 4 or 5 other areas. They are promoting numerically driven policy efforts that are very targeted. Mega scale philanthropy – budget is $170M per year. $1.2Bn over 5 years – sold to Hewlitt and Packerd Foundation by engineer from Stanford. Global deal in Copenhagen failed miserable. Are they making a difference? Using their resources wisely? Is this network greater than the sum of its parts? China – industrial energy efficiency: Establishing and working with alliance of Universities with engineering department. Train students with world-class knowledge that they can go out and apply on the job. Carbon sequestration – high positive cost Energy efficiency – high negative cost It’s tough to evaluate policy advocacy. They’re trying to map how case studies are progressing by comparing the baseline to current contribution. This is mostly done through meetings with high-ranking countries in the targeted countries. There is labor-intensive way to do this by not releasing who you work for prior to the interview. Mitigation – Working? Not? Some of these metrics make assumptions about human behavior that aren’t measured. What if you start to drive a more efficient car twice as much? Despite the “what if,” the tests are based on tested and reliable technologies. What is the ratio of the amount of pollution emitted compared to the efforts to mitigate climate change? Maybe emissions are increasing slower than they would have if we weren’t evaluating and mitigating. Foundation wants 10Mtons reduced by 2020 for their programs to be considered a success – from baselines (set around 2008); they’re not all the same. Interim outcomes can be discouraging since the policy process is so long. It’s almost that they need evaluation also. 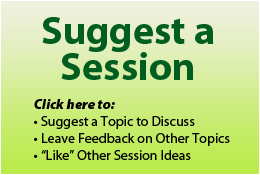 Q: Have people looked at the ethicacy of climate change mitigation? It is a risk analysis to some extent. The World Bank is funding projects to fund projects in countries for a particular crop. It depends on what strategy you’re planning to pursue. Many of the mitigation policies have not been implemented so it is hard to look at them retrospectively. There are various barriers to following through with that. Example: Boreal forests in SW Canada that have been attacked from insects, which were not able to survive in that habitat before climate change. In china, they were looking at the technical capacity for industry to conserve and reduce emissions. The government question was how to implement it so that it would be done. The farther away you get from technical results, the harder it gets to measure. How do you evaluate human mindsets? That link is harder to make. Q: What does it take to change mindsets and behavior to mitigate climate change? There is some real work being done to reduce the use of cars. Mitigation – Community of practice? http://www.climate-eval.org EPA was stuffed for a while to not call it climate change. The social services are now getting on board. Humanitarian agencies are seeing that the most vulnerable societies of the world are the poorest. Wellspring of interest will go beyond the environmental community soon. Where we (Department of the Interior) are right now, we look at a percentage of federal lands that have adaptation plans or action, or look at the number of plans that include climate change as a part of their strategic actions. Outcomes are very difficult to measure – these are obviously outputs. When talking to World Bank, you have to condense data down to “what’s better than what else”. NOAA has a coastal adaptation too. One of the metrics for the climate change objective is the number of hits on the website. Adaptation – What methods? In U.S. on natural resources, there isn’t much evaluation or adaptation going on. We want resilient coastal communities in the face of sea level rise, coastal habitat stressors, and the face of climate change. When habitat fragmentation occurs, groups will create habitat corridors. Is this still considered climate change adaptation? Need to incorporate climate change thinking into all of your projects. You want to create an organizational environment with flexibility, critical thinking, etc. You want to think about the critical leverage points in the agency that drive most actions and focus on those leverage point to make sure it addresses climate change. The EEN is helping advance the field of environmental evaluation through more systematic and collective learning. Use the Twitter Hashtag #EEN12 when tweeting about the 2012 EEN Forum!